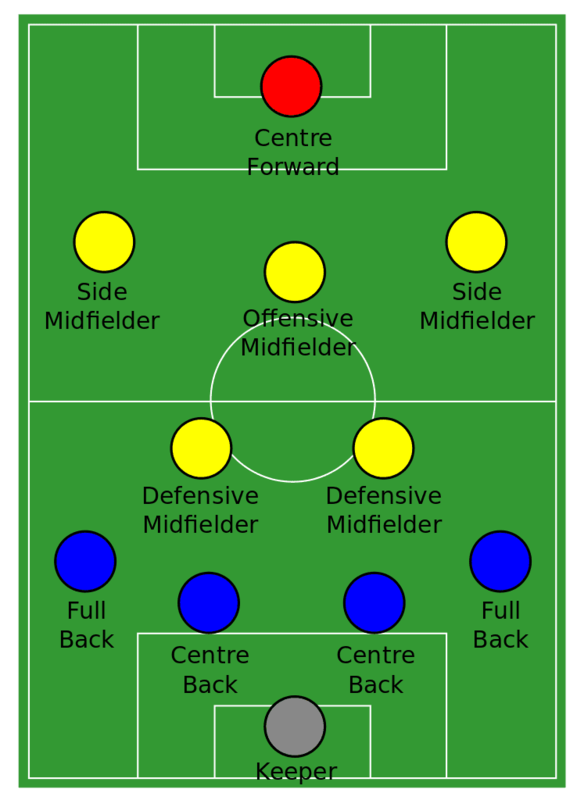 The 4-2-3-1 formation came to prominence in Spain in the 1990s and early 2000s and is now used by many teams throughout the world. The two players in front of the back-four, known as the "doble pivot" (double pivot) in Spain, give support to the defense, with one player breaking up opposition attacks, and the other putting more emphasis on distributing the ball to the attacking players. The formation should ensure teams are not outnumbered in midfield, and with so many advanced players, there is great flexibility. In this formation, the striker should not lack support as he has three players whose job it is to supply him with ammunition. If the players behind the main striker are of genuine quality, the formation can be a dream for a striker as he should receive plenty of balls into the penalty area. The 4-2-3-1 formation can accommodate a big target man who can hold the ball up and lay it off for the oncoming midfielders, or a more nimble striker capable of running on to balls and finishing chances. It is important that the front-man is physically strong because, despite the support from midfield, he will need to hold off defenders as he looks to carve out chances for himself or teammates. The three attacking midfielders can be hard for opposing defenses to pick up, especially if they interchange and run in from deeper positions. There is usually one central creative force, playing behind the striker. When Deportivo La Coruna and Valencia won Spanish League titles in the first half of the 2000s under Javier Irureta and Rafael Benitez respectively, Juan Valeron (Deportivo) and Pablo Aimar (Valencia) both featured behind the striker, their subtle skills creating havoc in opposition defenses. To either side of the playmaker, there are two wider players whose job it is to create chances from the flanks as well as cutting in. There is also an onus on these three players to help out defensively, particularly those playing in the wide roles. When on the back foot, these players should be helping their full-backs, and the formation will look more like a 4-4-2 or 4-4-1-1. It is imperative that the two players have positional sense in order to protect the back four properly. One of these two is generally more of a tackler, with the other concentrating on distribution. In that title-winning Valencia team, David Albelda and Ruben Baraja formed an excellent partnership. Albelda did much of the tackling, while Barajas was more offensive. The pair complemented each other superbly. Xabi Alonso is the perfect example of a player whose job it is to defend, but also to open up the opposition with his cultured range of passing. Having two players in front of the back four provides a platform on which the team’s more attacking players can create chances. It is the job of full-backs to defend against opposition attackers, particularly wingers. It is important that they stop the supply line for the striker, so must be strong in the tackle. The pace is key if they are up against a speedy winger, while they will also be expected to help defend against opposition set-pieces so good heading ability is also required. A team's full-backs can also be a major attacking weapon. A full-back with pace, power and good crossing ability is a real asset on the flank as they can stretch the other team's wide players and provide ammunition for strikers. The job of the central defenders is consistent with other formations such as 4-4-2 and 4-5-1. They are there to repel opposition attacks by tackling, heading and marking players (employing either zonal or man-marking tactics). 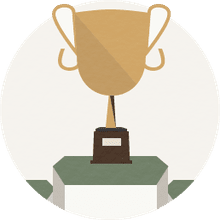 Center-backs can often be seen going up for set-pieces in the hope of heading in a cross or a corner, but their primary role is to stop the opposition strikers and midfielders. Strength and concentration are two important attributes when playing in this position. What Are the Most Popular Formations in Soccer? What Is an Offside Penalty in Soccer?